Pet parents, you will at one point or another find yourself needing pet sitting services, be it from a boarding establishment, the kid next-door, or an individual who offers in-home pet care, you should always be prepared and informed. Assume your pet is a human child; what would you look for in a child care provider? Many of the same criteria you would look for in child care apply to pet care. Reputation – What have others said? Read reviews on Google and Yelp or ask for a list of references to contact. Experience – How long have they been caring for animals? Motive – Do they truly care about your pet’s well-being? Or just need a paycheck? Resources – What type of atmosphere will they provide? Knowledge – Do they know specifics about your pet’s breed and temperament? The internet is an easy place to start looking; it provides a wealth of information in order to find the perfect pet sitter. 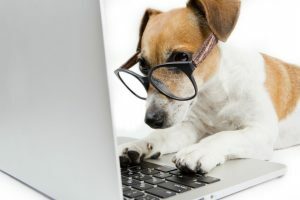 If you can’t find an abundance of information about your potential pet care provider, don’t write them off right away, we all had to start somewhere. Get to know your potential pet sitter with a phone call. Animal enthusiasts that truly care about the well-being of your pets, and aren’t simply pressing for a paycheck, will be inquisitive and genuine. They’ll ask about your pet’s favorite activities, medical history, social experience, potential causes of anxiety and will send you their paperwork. An experienced pet sitter will also offer a complimentary face-to-face meeting with you and your pet! Ensuring your sitter knows who your veterinarian of choice is and where they are located. Providing the nearest 24/7 Emergency Vets location and phone number. Asking if they are insured and what it covers. Top Notch Tip: Not all insured pet sitters are excellent and not all uninsured pet sitters are rubbish. Insured pet care providers offer a sense of comfort, but at a cost; with higher overhead they charge substantially more per visit. 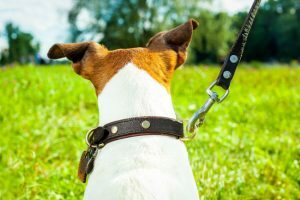 Uninsured pet sitters will be responsible for their negligence, but have a lower overhead and charge less, but often realize they need to be the best. 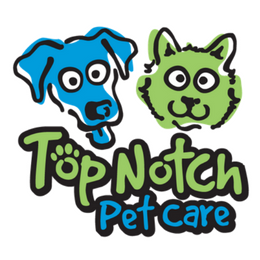 A truly Top Notch Pet Care provider will supervise your pets like they are tiny human children, and know how to avoid potentially harmful situations. Once you decide on a pet sitter, prepare for your complimentary meet n’ greet. Schedule the meet n’ greet in close proximity to your travel dates. This is better for both your pet, who will have greater success at adjusting to the change and for your sitter, who will have fresh pet information. Treats, treats and did I say treats? If you have an untrusting, yet food motivated animal, treats can often begin the bonding process between sitter and pet. Fill out the forms. If you picked a seasoned sitter there should be a few pages of paperwork and having those ready can often trigger questions you both might have otherwise forgot. Have a key ready, but only provide it once you feel comfortable in your choice. The sitter should only ask for it towards the end of the meeting, if they are being pushy right out of the gate, they could be paycheck motivated and not pet care motivated. Need help finding a reliable pet sitter in your area? Check out the list of resources provided below to help you make an educated choice! Top Notch Tip: Keep in mind, using a site that requires pet care providers to pay in order to be listed, or take a cut of the profits, will often push that extra overhead onto you. We realize we may not have covered everything when it comes to finding the perfect pet sitter for you and your furry family member, give us a call today if you have further questions. We’re happy to help!